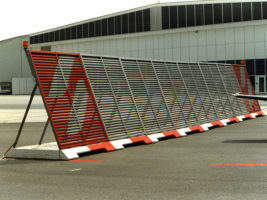 Blast-Ex jet-blast deflector fences provide safety for vehicles, pedestrians, airport facilities, buildings, and nearby public roads subjected to jet-blast from aircraft manoeuvring on runways, taxiways, and tarmac. Prop and jet-blasts from manoeuvring aircraft create high-velocity winds, and can also cause foreign object damage (FOD). Blast-Ex jet-blast deflectors feature blades, that prevent FOD by redirecting airflows to create a chimney effect, and eliminate horizontal jet-blasts. Gaps can be left between blades to allow for a lighter construction. 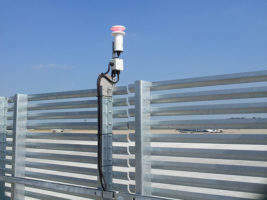 The deflector’s discrete metal elements are adjustable to deflect air streams by up to 90°. 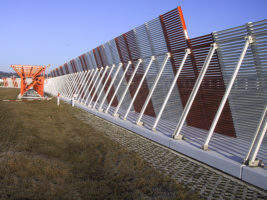 This breaks up wind flow directly behind the fence, and alleviates potential high-impact hazards. 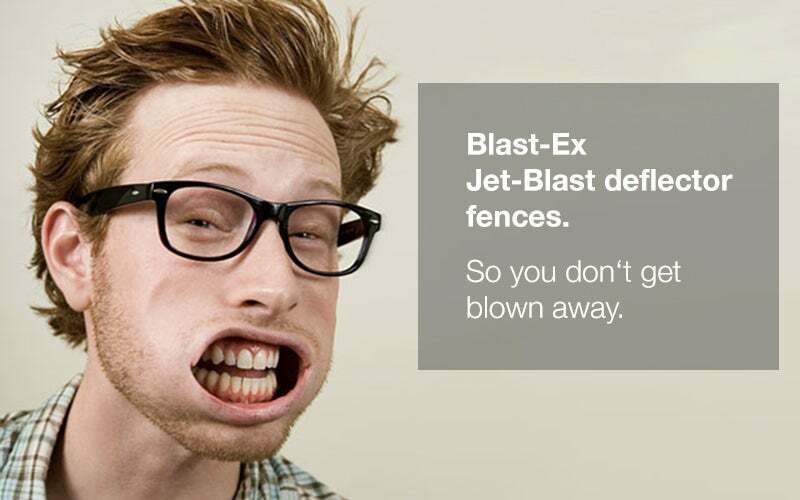 Blast-Ex deflectors can simultaneously withstand jet-blasts at speeds up to 200m/s, and temperatures up to 500°C. Blast-Ex jet-blast deflectors are manufactured using construction, stainless, and heat-resistant steels. 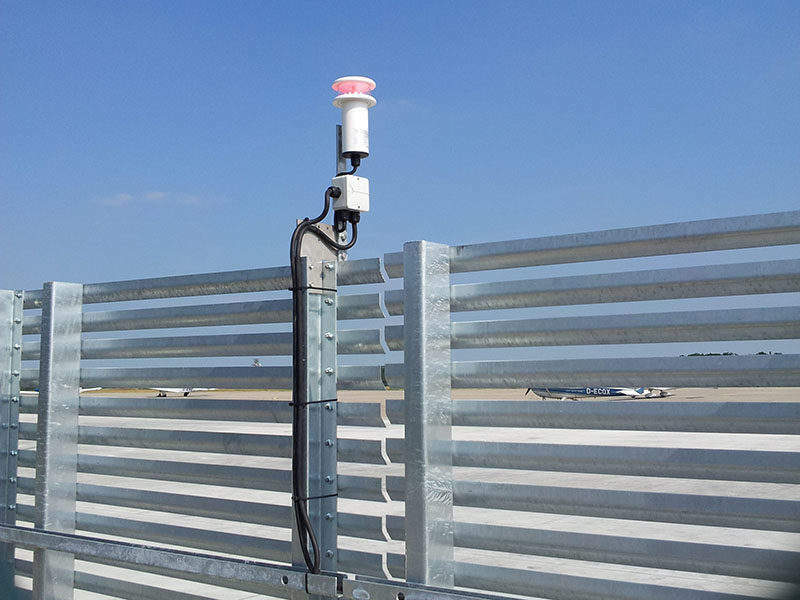 Glass fibre-reinforced plastics are also used in special cases, such as to protect instrument landing system (ILS) / localiser antennas, and other NAV / COM equipment. Blast-Ex deflectors are bipartite, and come in transportable or fixed-mounted versions. 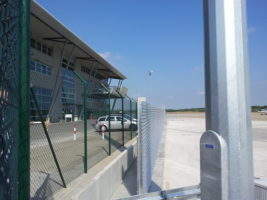 In addition to standard deflector types, deflectors can be customised to ensure correct height, strength and blast deflection for individual airport specifications. Blast-Ex jet-blast deflectors are hot-dip galvanised during the production process. Powder coating is applied directly after galvanising. The usual need for sweeping (roughing up the surface of the steel) is thus not necessary. The duplex-coating process also produces an excellent and durable colour finish. 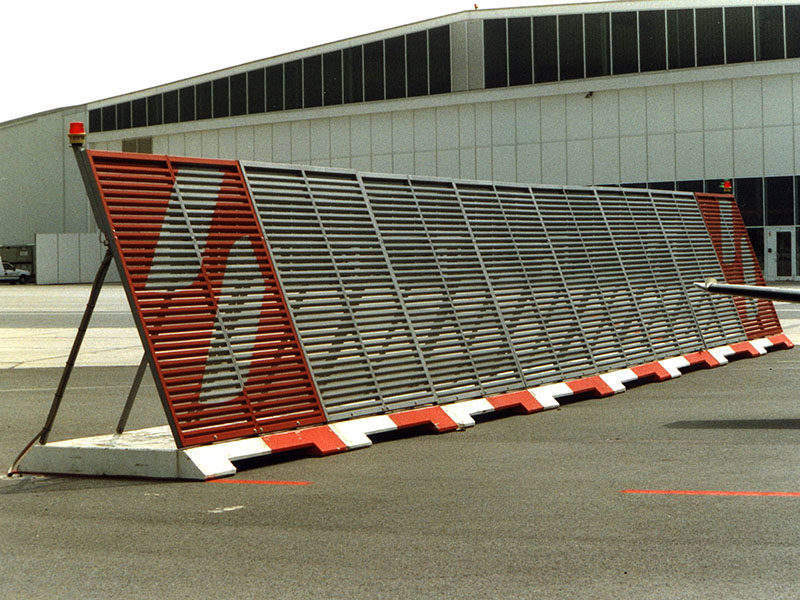 Blast-Ex jet-blast deflectors are manufactured in Germany, but the company also provides shipping and installation services for the international airport market. 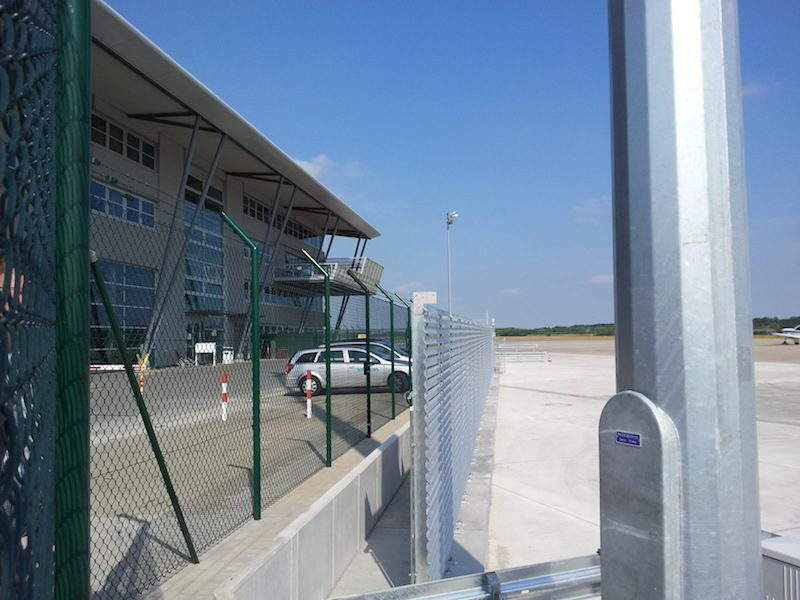 In March 2014, the Dublin Airport Authority (DAA) requested a quote and specifications from Blast-Ex for a portable, 30m-long jet-blast deflector fence. 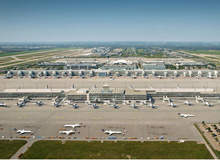 Our reference list gives you a profound overview of the jet-blast deflectors we built on many international airports. 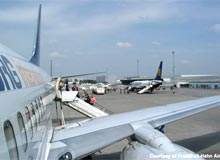 Jet blast is a phenomenon, which inevitably occurs in connection with jet or turbofan-driven aircraft. 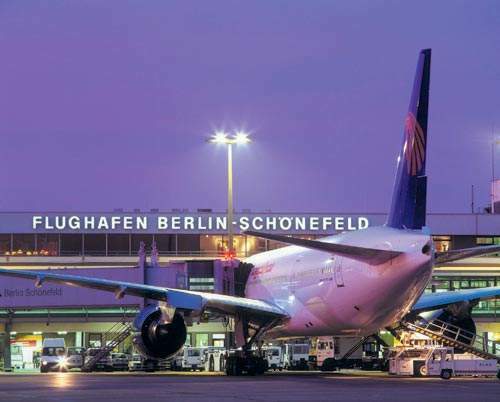 As the capital of an important European country, the city of Berlin, Germany, has a major problem with rapidly expanding volumes of air traffic. 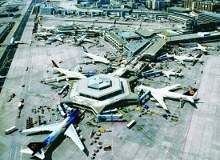 Understanding customer demands and the intended purpose of jet-blast deflectors at airports is the vital first step in order to decide on an appropriate deflector product.